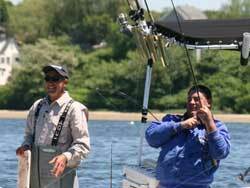 Captains Andy and Rich join Capt Mitch Mills of the Helen H Fleet (508-790-0660) to hook up with striped bass in the famous Monomoy Rips. They use an innovative technique of drifting that involves drifting plastic squids back into the rips using light tackle while stemming the tide. The rips are fearsome and the fish fight like mad in the raging current. The techniques in this show can be used by anyone who wants to target big fish on artificials in rips anywhere throughout the region. If you have questions about any of the equipment used during the show, please contact us or send us a message. 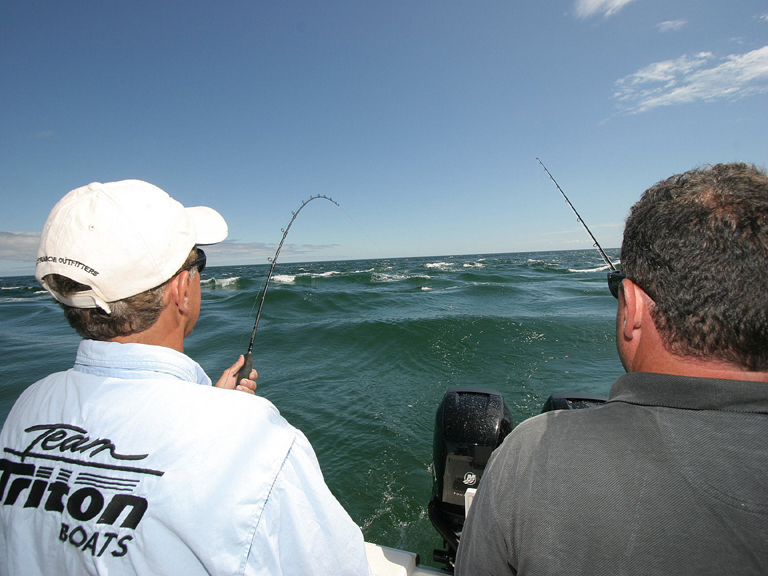 Click here for our Striped Bass Rip Fishing gear recommendations.